The Division 2 is now almost here, and you can start playing the game in less than 24 hours if you pre-ordered the Gold edition of Ubisoft's game. In this guide to everything you need to know about the sequel, we'll be going over the Division 2 release date, all the various Division 2 gameplay slices that we've both seen and played, and much more. The Division 2 will release on PC, PS4, and Xbox One on March 15, 2019. This puts it right in the middle of a packed month, including Sekiro: Shadows Die Twice, Devil May Cry 5, Yoshi's Crafted World, and other games. But, if you put down a pre-order for the Gold edition of The Division 2, you can start playing the game a few days earlier. Gold edition players will have access to The Division 2 on Tuesday, March 12. Just recently in January 2019, Ubisoft revealed the full slate of required PC system specs for The Division 2. In the lists below, there'll be info on minimum, recommended, and high system requirements, as well as the elite 4K system requirements for your PC. In other PC-related news for Ubisoft's The Division 2, it was recently revealed that the game will be skipping Steam entirely when it launches on March 15. Ubisoft instead revealed that the game will be launching exclusively on the Epic store, when it launches on PC. In the debut gameplay reveal for The Division 2, we saw four Division operatives working together to take down an enemy control point. There was the trademark Ubisoft scripted banter that we've come to expect, although it wasn't too distracting from the overall gameplay demo. The UI and HUD for The Division 2 has had an overhaul, making it look smoother than ever before when you're playing with multiple people. The team of four navigate their way from a forest area, further into the city, encountering wildlife and citizens as they go. The entire gameplay demo for The Division 2 wrapped up with a boss battle around a downed passenger airliner. The team of four had to work together to support each other, and here's hoping that the difficulty in the game scales with how many people you're playing, or you're going to have a tough job by yourself. Later on in Ubisoft's own E3 2018 showcase on June 11, we got another look at The Division 2. This was mainly an atmospheric teaser for the shooter, as we saw the destruction of society all around Washington DC in the wake of the virus. After this, we got the information that we could select a new progression path after reaching the end of the campaign of The Division 2. There are going to be exclusive weapons and skills tied to the three class options, making up the endgame content. Finally, as part of Ubisoft's E3 2018 presentation, it was revealed that Raids would be included in the game. This seems a pretty natural fit for the shooter, and they will let eight people team up together. 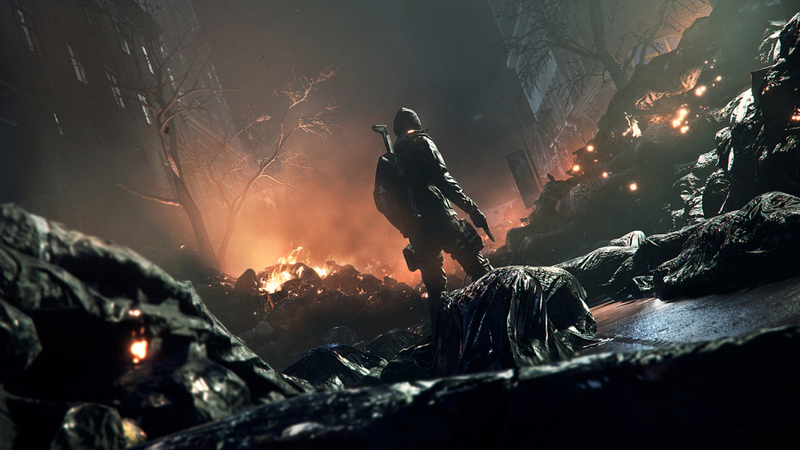 Although the Washington DC setting for The Division 2 was leaked on June 10, thankfully the full game was revealed later that same day, with Ubisoft revealing that the sequel shooter would be taking place in the capital city of the US. There was a big narration at the beginning of the Division 2 gameplay reveal about how protected Washington DC in militaristic terms, but none of this would stop the onslaught of the virus from the original Division. Perhaps we'll be battling to take back control of locations like White House, the Lincoln Memorial, or even entire areas of the densely packed city, like Capitol Hill. We'll have to wait for further details from Ubisoft themselves to find out for certain. Ubisoft also announced during their E3 2018 presentation that there would be a limited beta for The Division 2. 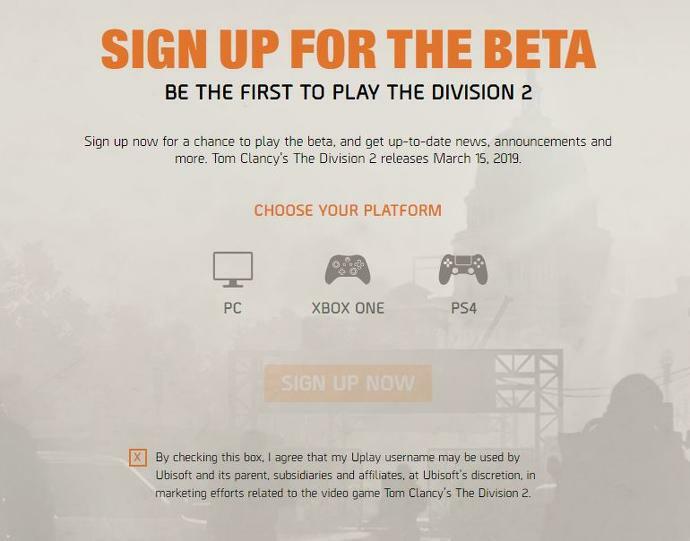 We don't actually know when the beta is taking place as of right now, but if you want all the information on how to register for a chance to take part, make sure to head over to our Division 2 beta guide. Ubisoft revealed on June 11 that there would be DLC for The Division 2. So far there are three DLC packs in planning for the game, and Ubisoft revealed that all DLC for The Division 2 would be completely free, giving you brand new story content and more. This is all the information that we have so far on Ubisoft's The Division 2, but we're sure to get plenty of additional details over the coming months. Make sure to keep an eye on this guide, as we'll be updating it with any new information that Ubisoft releases. Tagged with Action,	Blockbuster,	Co-op,	Guides,	PC,	PlayStation 4,	Role Playing Games,	Shooters,	Survival,	Ubisoft,	Xbox One.